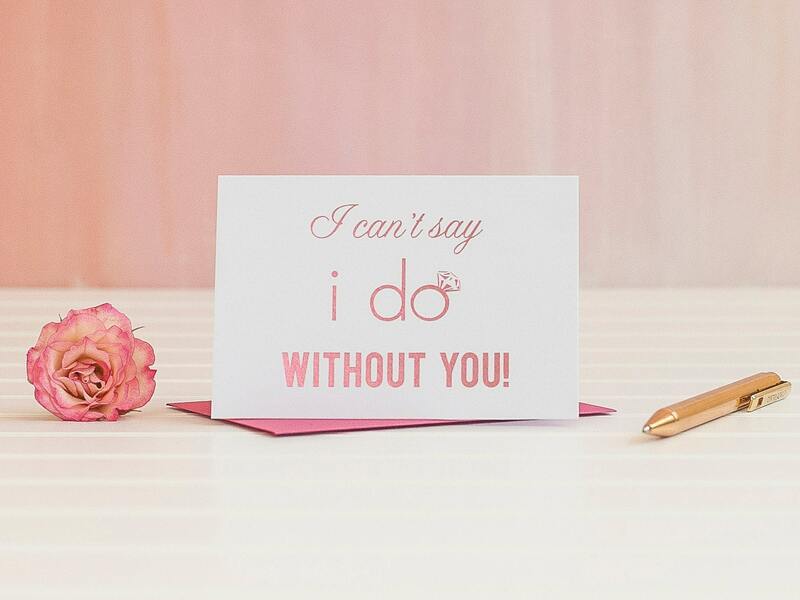 I Can't Say I Do Without You! 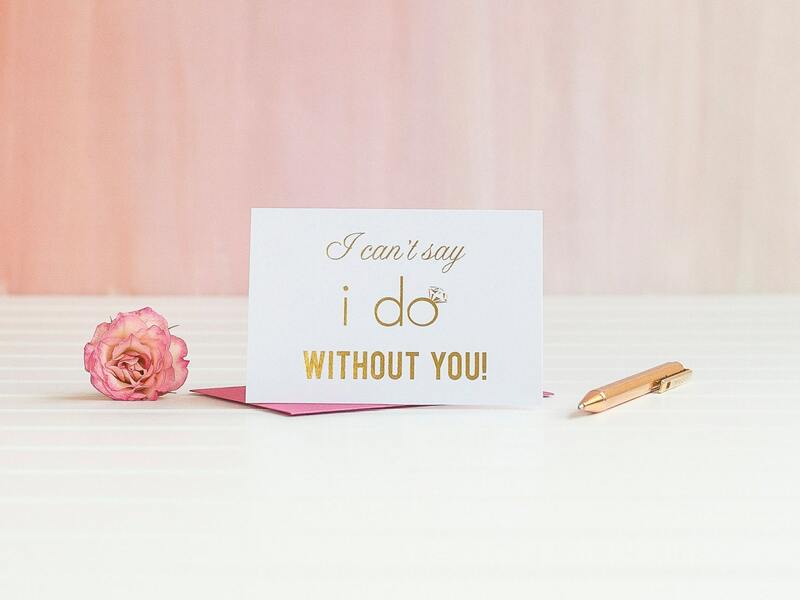 Perfect for your I Do Crew, these rose gold foil stamped notecards are a great addition to your bridesmaid proposal box or gift. 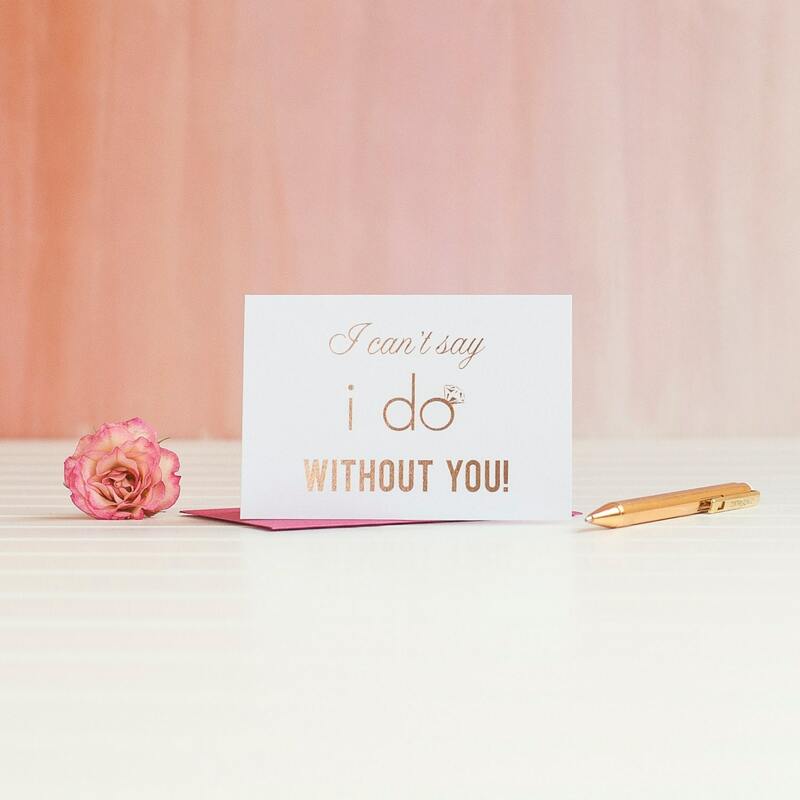 The notecards are available in rose gold foil, gold foil, or pink foil with an engagement ring illustration and classic verse to ask your attendants to join you on your best day ever! 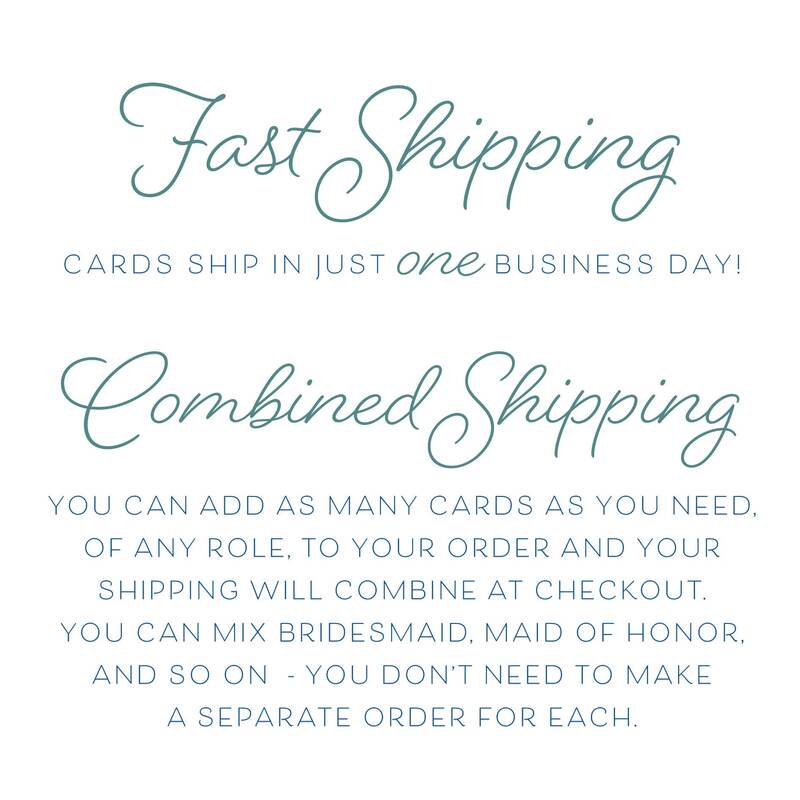 Our foil stamped cards come in beautiful shimmering white pearl cardstock with a blank interior. 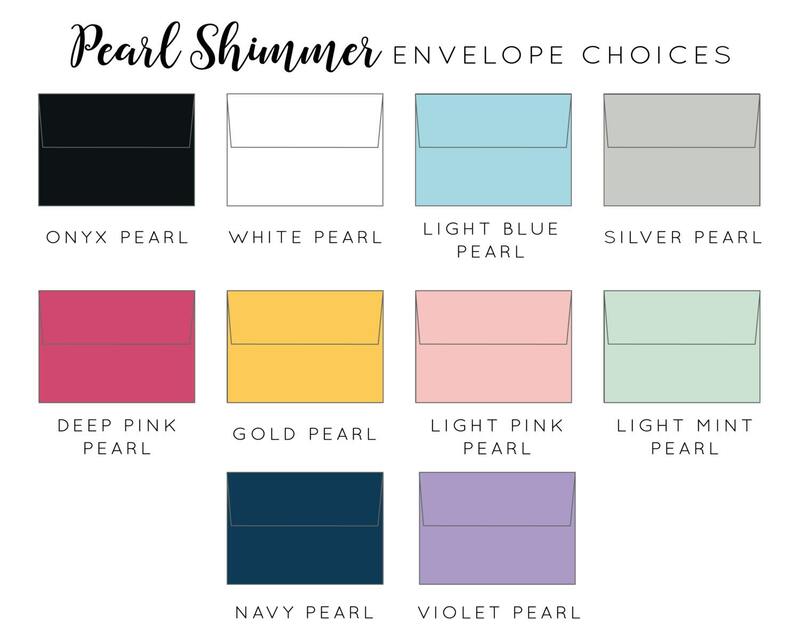 These 4.75x3.25" notecards are an A1 stationery size, and come with your choice of one of 9 different pearl shimmer envelopes - see all envelope options in our last photo. 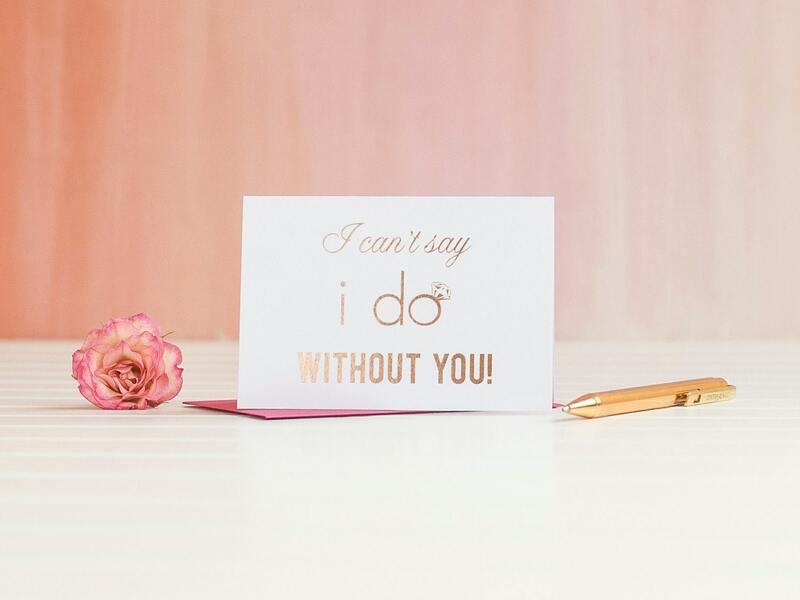 Our sample is shown with the Deep Pink Pearl envelope for a great coordinating splash of color.